I'm doing my best to catch up with some things and need to post photos of some of the cards I made. This is one I made with the "Today Bouquet" dies (7 in the set) from Tonic Studios and I used the largest die from the "All you Need, Jigsaw Die set" for the background. 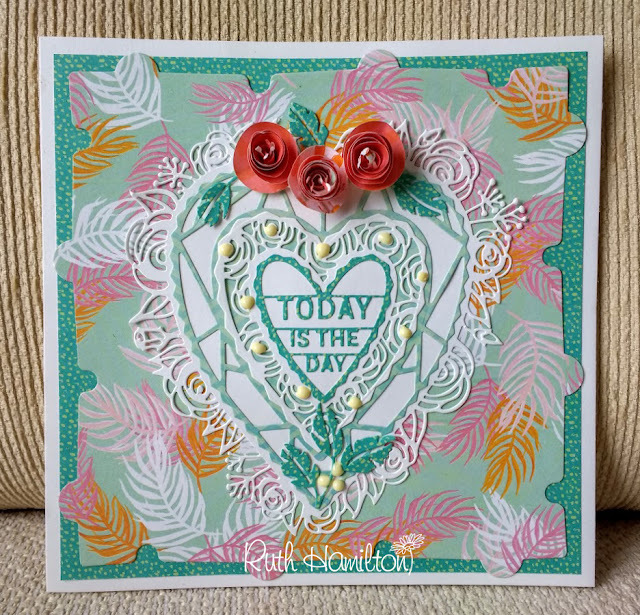 The flowers are made with the "Emperor's Wreath" die set.